Jenny Herzog (voice, tap) is a vocalist, composer and improviser based out of Boston. She performs standards and original music throughout the greater Northeast; her work integrates voice and tap dance. 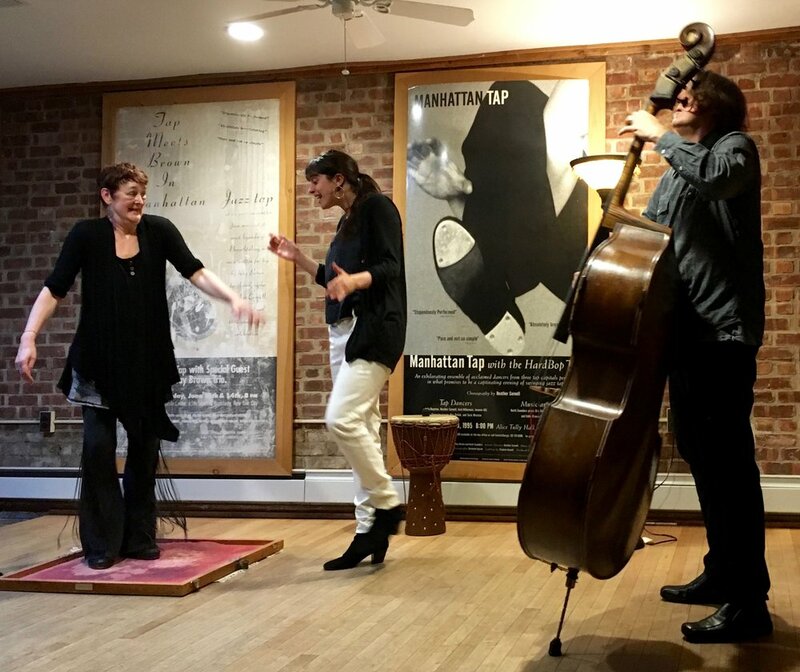 This jazz trio combines tap, wood, and sand dance with acoustic bass and voice, in exploration of jazz standards and original compositions. Tap That Bass experiments with the rhythmic interplay between dance, voice, and bass, as well as the textural and dynamic possibilities inherent within these forms. Heather Cornell and Jim Donica both draw inspiration from the style of bassist Ray Brown; Heather worked with him, and Jim studied with him. Together they pay homage to his style and sound, with original compositions such as "Ray's Bag," and tunes such as "Take Me Out to the Ballgame." 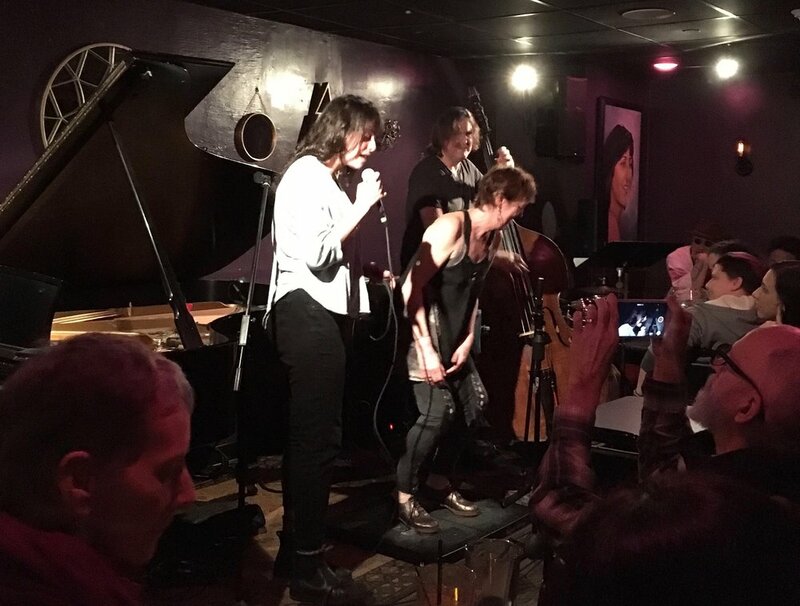 Heather Cornell, Jim Donica, and Jenny Herzog at Maureen's Jazz Cellar in Nyack, NY.